Artist Quality, Earth Toned Premium Grade Liquid Chalk Markers for Home and Commercial Use. Tired of messy, dusty chalk and not getting the bright color impact you need? Crafty Croc® Earthy Colored Liquid Chalk Markers offer a versatile solution for leaving your mark on almost any non-porous surface! Write with beautiful muted earthy tones on glass, ceramic, metal, mirrors, car windows, menu boards, chalkboard adhesive labels, chalkboard contact paper, plastic, advertising boards, light boards, glass under black light and more! You can write on card and other surfaces but if you want to erase (especially off of painted chalkboards), please test the marker on a small area first to ensure you can erase it successfully. Turn Your House into A Massive Canvas! – Great Fun for Adults and Kids alike. Decorations for Weddings, Parties, Holidays, Festivals, Halloween, Christmas and more! Leave a love note on the bathroom mirror! Your Crafty Croc® chalk pen is a premium product made to the highest standards using high pigment chalk ink, meeting European and American safety standards. Perfect for card making and scrap-booking too. Want the best quality? Look no further. These artist grade markers are used across the country in numerous applications from commercial chalk artists to restaurant and cafe bistro boards, classrooms and kids' rooms! Thousands of happy Amazon reviews are testament to our success. 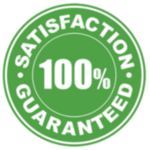 At Crafty Croc® our number one concern is that you have a 5 star experience with all Crafty Croc® products. If for any reason you are not happy with your chalk paint pens, please contact us directly so we can make it right for you. 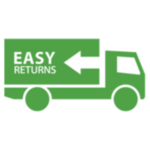 Returns are easy! For details about the estimated shipping times and options, please check the Shipping tab. If you need to return or exchange a product we'll be happy to help! Simply contact us and we'll get you a replacement or refund in a snap! We insist that you love everything you buy from us! If you're unhappy for any reason whatsoever, just let us know and we'll bend over backwards to make things right again. Whether that's a return, a replacement, a refund, or just some helpful advice - we take care of our customers every time. Returns are easy! Simply contact us and we'll get you a replacement or refund in a snap! 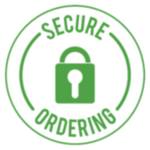 Ordering from Crafty Croc is 100% safe and secure so you can rest easy. Your personal details are never shared, sold or rented to anyone either. Thanks for the feedback! Let us know if you need any help. LOVE THE BRIGHT COLORS, MAKES CUSTOMER TAKE NOTICE. LOVE THEM!